One of my favourite things to do with this blog these days is to catalogue/chronicle awesome citizen science initiatives. And there’s a new one! And it’s lots of fun! 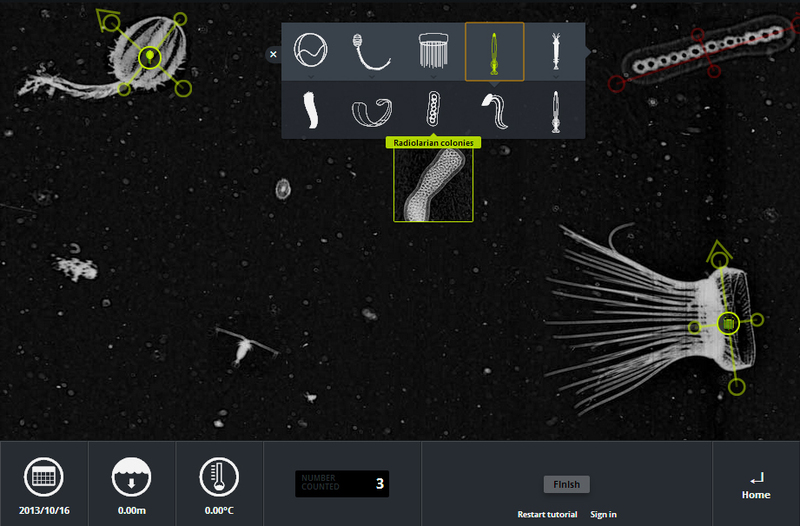 In Plankton Portal, you get to help identify plankton from images taken . I’ve just started playing, and so far it’s actually trickier than it looks, but one gets added benefit of learning heaps about plankton which, lets face it, are amazingly cool (my favourite are radiolarians, of course). Plankton are a critically important food source. Plankton also play an important role in the global carbon cycle. This cycle captures the Sun’s energy and the atmosphere’s CO2 at the surface of the ocean and releases it to other organisms and other areas of the ocean. Plankton Portal is a member of the Zooniverse, a collection of citizen science initiatives which span everything from stars to whales, cyclones to worms, and a bunch more. So yeah. Go ye forth, have fun, and Contribute to Science! Unworthy self link: every weekday (pretty much) I compile Todays’ Links, a list of some of the more interesting links I came across that day. You can see the compilations (and sign up to get them mailed to you each day!!) at aimee.geek.nz/links.